Will this be you next fall? have something to worry about. Most of you have heard the stories from your older friends and siblings of how many essays there are to write when applying to college. Well, expect even more essays next season. As top schools get inundated with college applications -- thousands more than in previous years for the same number of spots -- discussions are forming on how admissions officers can abate surging numbers of applicants coupled with plunging admissions statistics. In a recent article in the Harvard Crimson, Justin Worland writes that Don McMillan, president of a Boston-based educational consulting firm, believes that the Common App is the main force in the rapid growth of college applications. CEO was created with this very point in mind. We agree that the number of essays are on the rise. But because of the overlapping themes among essay questions, as the number of essays increase the number of original essays that you write doesn’t have to. See what we mean here? It'll take you just ten seconds to discover how CEO can save you hours and allow you to apply to all the colleges you want without any additional essay writing. The word is out. Applications to Harvard rose 15% totaling almost 35,000 applications for Fall 2011, and Columbia was not far behind receiving 34,587 applications, a 32 percent increase from just a year earlier. (Here's the article.) So what does it take to be one of the elite applicants who will walk through one of the top school’s leafy gates? With so many over-qualified applicants, what is the key to getting a second look? A recent New York Times article by Trip Gabriel entitled The Almighty Essay suggests that the essay may be the best way to maximize your chances for entry into the school of your dreams and make you shine the brightest among thousands of other stars. Gabriel writes, “The personal essay, [admissions officers] all said, growing soft and fuzzy, is the one element where a student’s own voice can be heard through the fog of quantitative data.” But Gabriel also alludes to an important question. What is to happen to all the 17-year-olds who cannot translate their oh-so-lofty thoughts into polished prose that encapsulates their unique essences in 500 words? Are they left to attend a school that - gasp - may not be in the top 100? Students must apply to more schools than in the past. You can’t assume that your strong test scores and GPA are enough to get into a top school. 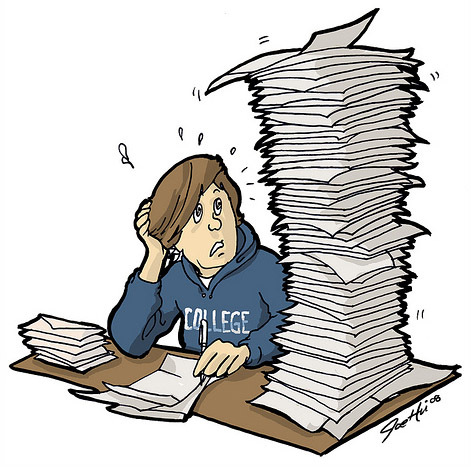 Applying to more colleges means writing many more essays - and organizing them all is crucial. How can you ensure a personalized approach to each school’s application without writing 15 totally different essays? CEO users have told us that they were, on average, able to apply to 10 to 12 schools with just 3 original essays. So don’t let the high number of applications drive you away. Arm yourself with the tools you need, prepare early, and take a chance. Check out for FREE how many essays the colleges you're considering have, and how CEO would simplify your writing experience and save you hours.